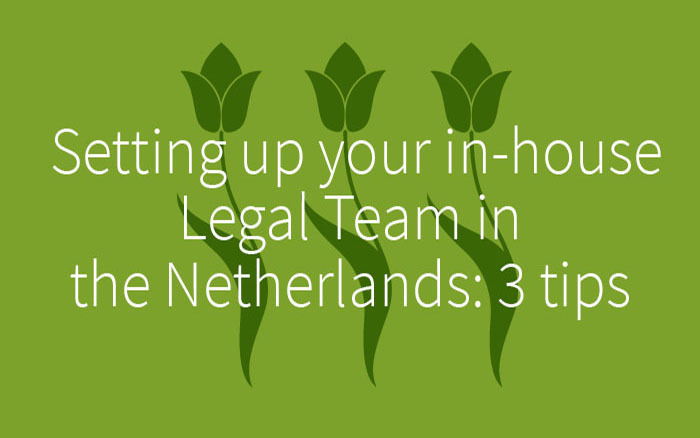 Recurrently international corporations move their seat to the Netherlands. For a variety of reasons. Here some of the experiences we gained assisting companies establish the legal function here. Earlier this month leading Dutch financial newspaper ‘Het Financieele Dagblad’ reported that KPMG research has shown that corporations view the Netherlands as one of the favorite alternatives for establishing their business should they leave London. Driven by Brexit or for other reasons, we may expect international companies to continue to choose the Netherlands as the location for their new seat. Our country scores consistently high in “Best Countries for Business” rankings ( for example Forbes https://www.forbes.com/best-countries-for-business/list/) for reasons known: efficient access to the rest of Europe, modern infrastructure, highly qualified and multilingual workforce with international mindset, attractive living environment, stable political climate and, last but not least, a business supportive fiscal and legal/governance climate. View on role and composition as well as internal “buy-in” are crucial. In our “intake” for an assignment we extensively focus on these elements so we know exactly what mix of experience, expertise, soft/hard skills, personalities and cultures will best serve the business of the client’s new enterprise. So the new team can start under the best circumstances. Naturally, it is a dynamic process: views and profiles will/may change in the course of the hiring process triggered by new information and new hires. If you know the business and the legal market you can adjust quickly. The intake can be brief yet thorough, the candidate search & presentation can be swift yet on target, and the positions will be filled quickly and (cost-) efficiently with the best possible lawyers. When we recently assisted a Fortune Global 500 company (http://beta.fortune.com/global500/list) we were able to present a number of highly qualified candidates (including the one that was hired) for the General Counsel position within two weeks after the intake. Locally hired leadership often works well but there are also great benefits to having a legal manager seconded from the “parent” who knows the organization inside out. Provided of course there is a cultural fit: we had the pleasure working for a NYSE listed corporation moving their seat to the Netherlands where the successful build-up of the legal team could be attributed to a large extent to the American General Counsel who really connected well culturally with the multi-national backgrounds of the Dutch, UK and US qualified lawyers we presented. It can be tempting to let your own HR, or a generalist recruitment agency, handle all vacancies that need to be filled for the new venture. From Technical to Financial, from ICT to Legal. One would think it saves costs and improves coordination. Our experience however shows differently: we have seen generalist recruiters (internal or external) miss out on a. understanding the specifics of the legal background and mindset required and b. the market knowledge to find & select & mobilize the right legal counsel. Quite often the best candidate for the role is successful in his/her current job and will not react to ads or to approaches by generalist recruiters lacking the specific knowledge necessary to properly “position” the role and answer their questions. They will pick up the phone when called by a headhunter who knows their business and ambitions. To conclude: building a legal team in a foreign country can be a challenge, but with professional preparation, good leadership and the assistance of a quality specialized agency it can be realized quickly and efficiently.